Take a Branson ride. Break through the mirrored lake surface with a White River-reminiscent boat cruise. Visit the ship-shaped Titanic museum, hosting the largest display of Titanic artifacts anywhere. Take an interactive Rainforest Adventure to the Butterfly Palace. Or join the Outlaw Run at Silver Dollar City theme park. Branson, Missouri is always a bright idea, lit by the 24-hour entertainment that's earned it the title as the Live Music Capital of the World. And Branson has the attractive accommodations to match. Experience Vegas-worthy entertainment paired with family-friendly amenities, buffet breakfasts, pools, and great value rated rooms at the Top Branson Family Hotels. Showcasing 3,200 acres of premier property, StoneBridge Resort offers plenty of space to play! Families can make a splash in any of three swimming pools, kids can climb three different playgrounds, and adults can serve up a match on one of three tennis courts. Explore the tree-lined nature trails or hook a fish on the catch-and-release lake. Just a stone's throw away, you'll discover all the attractions of Silver Dollar City and Branson. Your luxury stay even includes an onsite restaurant! An unforgettable family vacation awaits at the Clarion Hotel at The Palace! The kids can make a splash in the indoor and outdoor swimming pools while the adults soothe their stress in the hot tub. Order a cooked-to-perfection t-bone at Buckingham's Prime Rib & Steakhouse and then kick up your feet in the Oasis Lounge. Since you're right in the middle of Branson, you'll enjoy a slew of nearby live shows, sensational shopping, five nearby golf courses, go-kart adventures, and much more! Entertainment buffs, enter heaven on earth at The Branson Angel Inn. 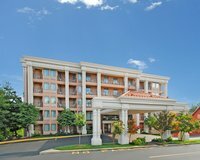 In the heart of Branson's entertainment action, the Inn is within walking distance of many shows, shopping, restaurants, and the Thousand Hills Golf Course. All that happens on the "Strip" is right under your nose, where your Branson lodging needs meet dreamy amenities and a location to die for. It all begins with a buffet style breakfast in the Sunrise Suite, and ends with a Branson, Missouri adventure! 24-hour entertainment is selling the city short, from Branson's Best Western Music Capital Inn. Imagine being surrounded by the nation's best entertainers. This impressive music-inspired city is host to family-friendly venues that only exist in your family vacation dreams. Exuding the intimate atmosphere of a boutique hotel with the amenities and benefits of a large hotel, the Best Western Music Capital Inn grants you the tools you need to enjoy exploring each of Branson's many attractions. Experience the world's only family-friendly version of Vegas, from Branson Towers Hotel. More than 50 live theaters, 17 movie screens, museums, lakes, golf courses, and Silver Dollar City theme park make Branson, Missouri into a must-see. See all of Ozarks Country attractions, natural or not, from your comfortable landing at Branson Towers Hotel, a three-story staircase to large accommodations, the Galaxy Arcade, Gazebo Hall breakfast room, pool, hot tub, and more. Talk-of-the-town amenities meet family value rates at Amazinn & Suites. The sweet life doesn't begin and end with the world-class entertainment and attractions of Branson. They start with Amazinn & Suites amenities like 42" flat panel TVs, Denver Mattress Luxury Collection Euro Top Beds, complimentary buffet-style breakfast in the Sunrise Suite, and the choice of 150 overlarge hotel rooms. The most value for your vacation dollar is waiting for your reservation, at Amazinn & Suites! Infuse family values in your Branson vacation, from The Holiday Inn Express - Branson. In Branson's Thousand Hills, this Holiday Inn is just a walk to over 30 theaters, attractions, shopping, and dining outlets of the the Live Music Capital of the World. While Holiday Inn Express amenities provides the simplified necessities to make your complicated family travels easy. 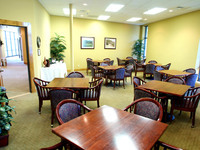 Enjoy the Express Start breakfast bar, Smart Roast coffee, exceptional service, and, of course, outstanding Branson location! With three distinct and beautiful properties, Clear Lake Investment can and will set you up for a long stay in Branson extravagance. Units are varied and diverse, from cozy two bedroom flats to opulent four-story condos. 10-foot ceilings, eight foot doors, stainless steel appliances, and granite countertops are standard. 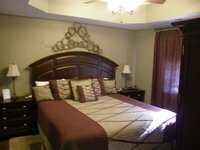 Branson, of course, is full of character and fun, and the condo's incredible locations make it simple to get out and go. 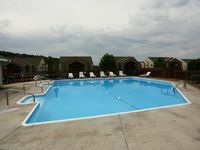 Meanwhile, guests also have full access to all amenities including an outdoor pool, hot tub, tennis court, basketball court, kids playground, and walking trails. Billed as one of the most exciting resorts in the Midwest, Branson's Castle Rock Resort & Waterpark sure does live up to its moniker. Home to an always-84-degrees indoor water park and a 10,000-square-foot outdoor water park, you and your family can splash your days away zooming down the water slides and kicking back in the lazy river. Then, dry off and have a bite to eat at the onsite restaurant, go wild at the arcade, relax at the spa and salon, and rest up in your spacious Family Suite! Located on the sparkling shores of Table Rock Lake, The Village At Indian Point is teeming with family fun! Enjoy a wealth of water sports like boating, kayaking, scuba diving, fishing, and more. Make a splash onsite at the heated indoor pool or the zero-entry outdoor pool. Adults can soak in the relaxation at the onsite spa. Stay dry on a horseback riding adventure or at the Silver Dollar City theme park. This AAA Three Diamond property can host 6-8 family members in its spacious units!